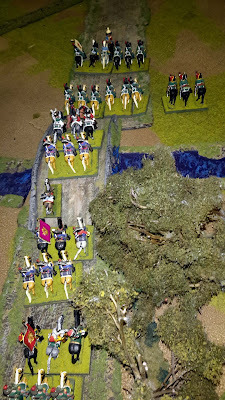 The Battle of Saguntum in eastern Spain in 1811, was an attempt by the Spanish to raise the of the town of Saguntum by the Marshal Suchet Army of Valencia. 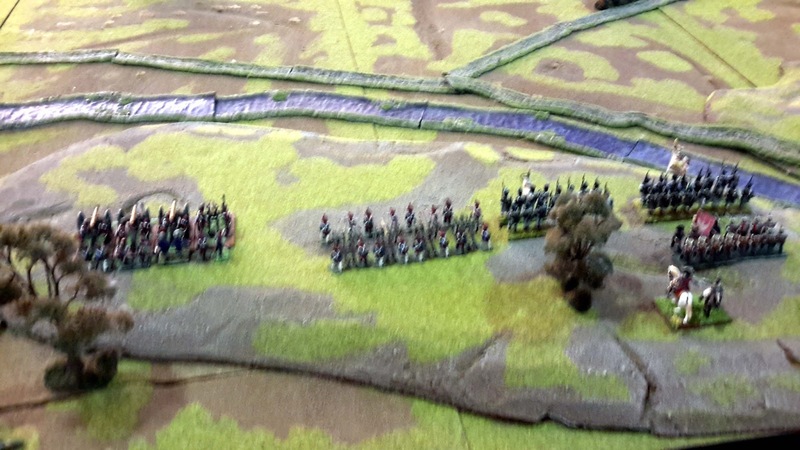 Suchet forces were outnumbered, plus the Spanish attempted a flanking movement behind the French exposed right flank. 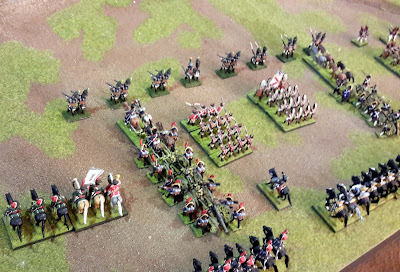 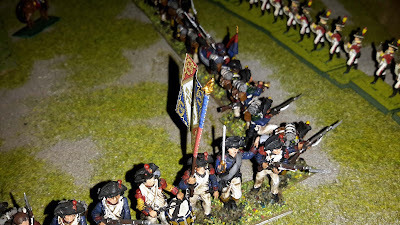 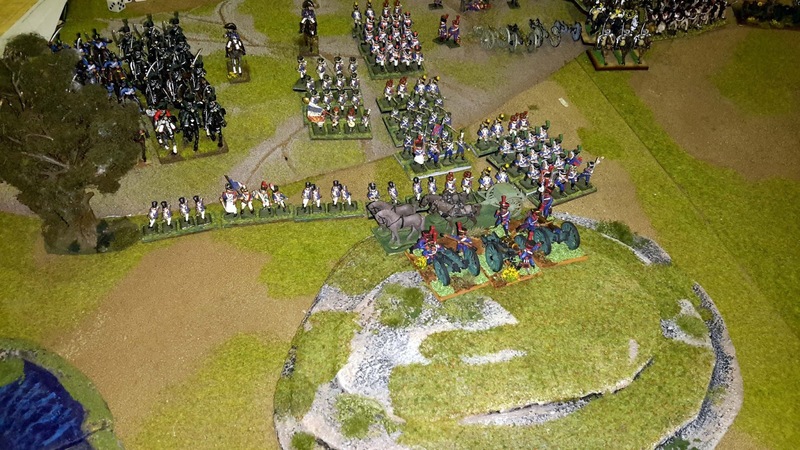 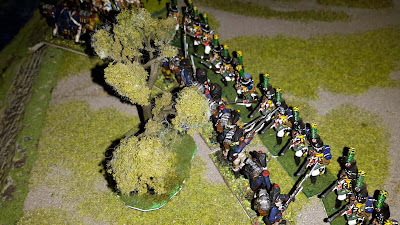 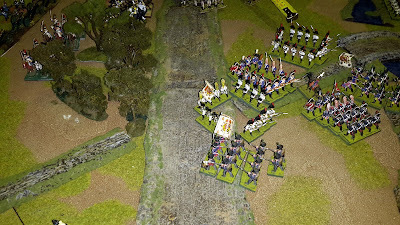 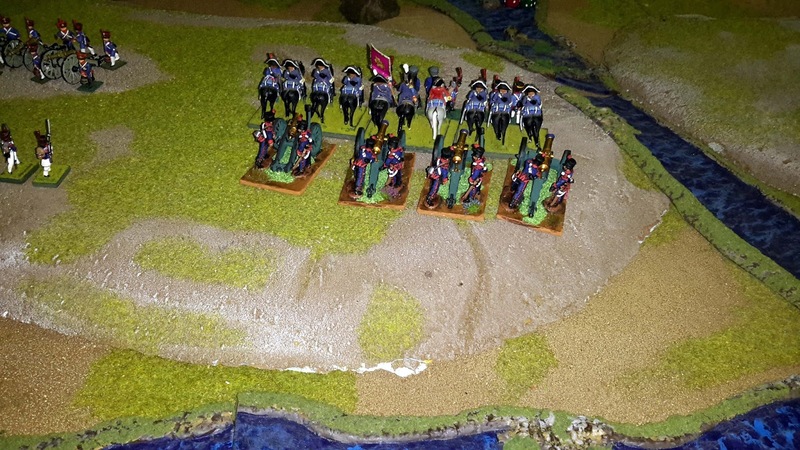 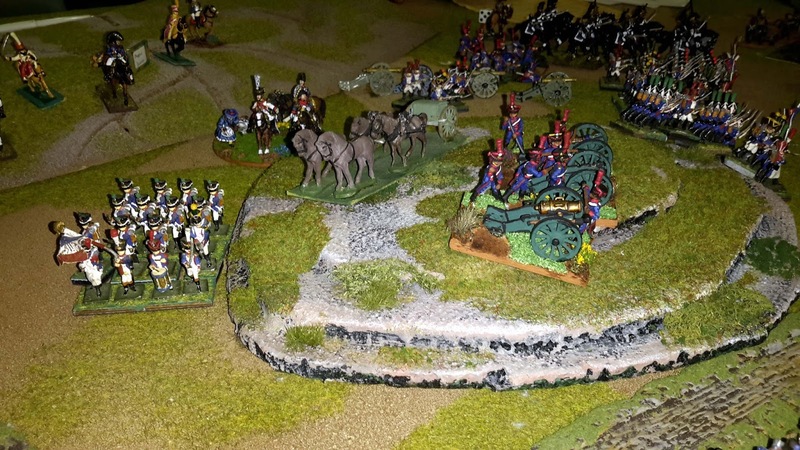 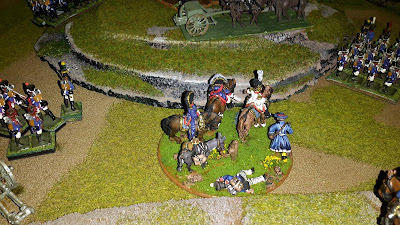 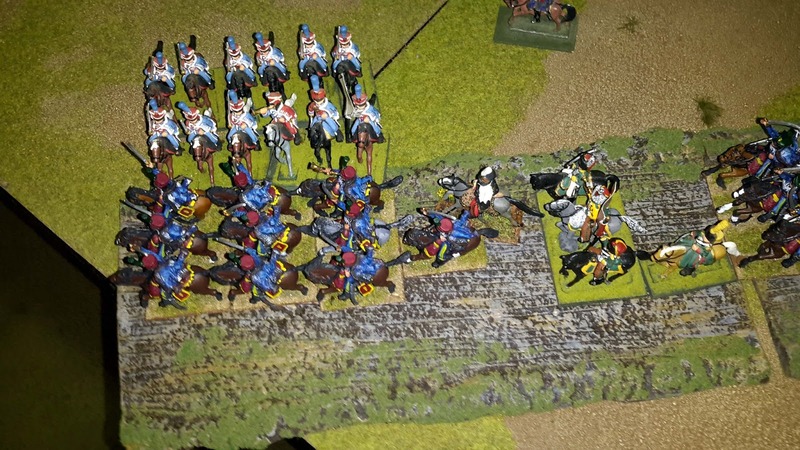 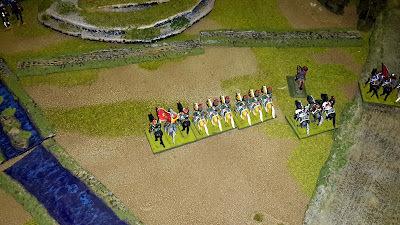 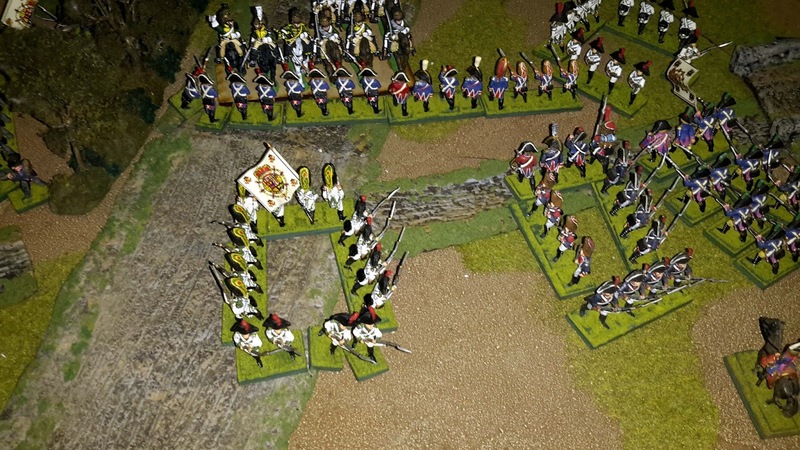 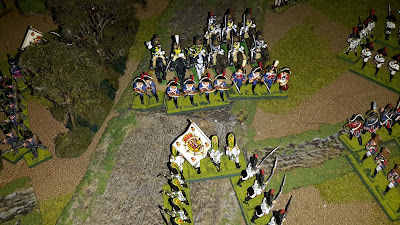 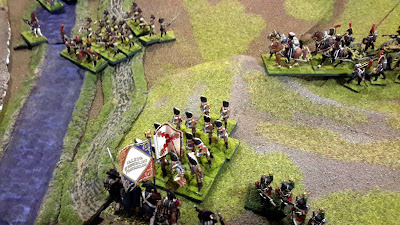 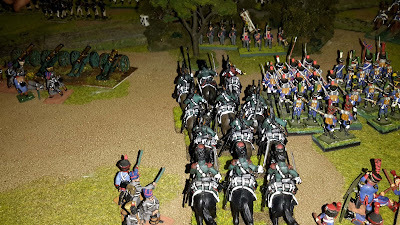 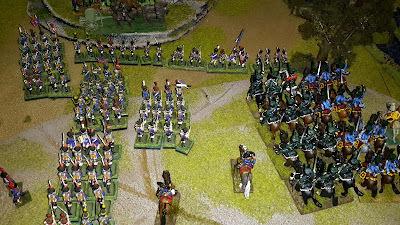 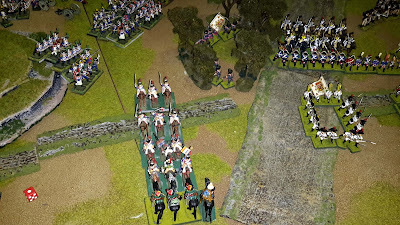 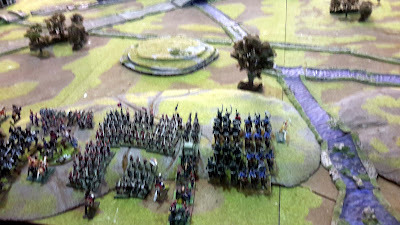 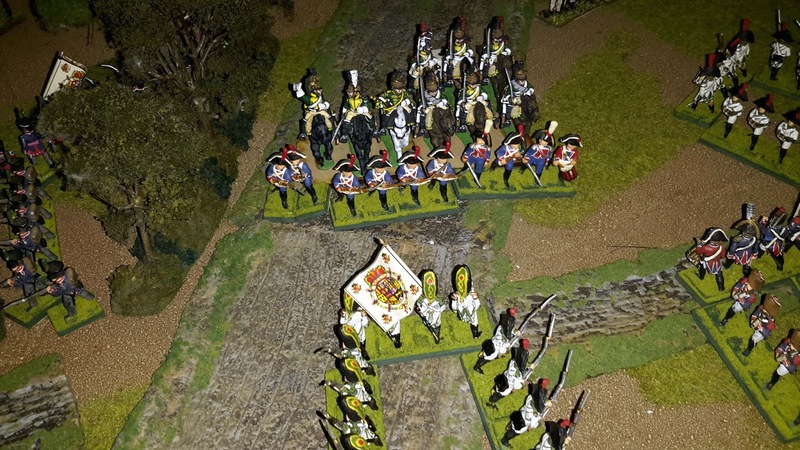 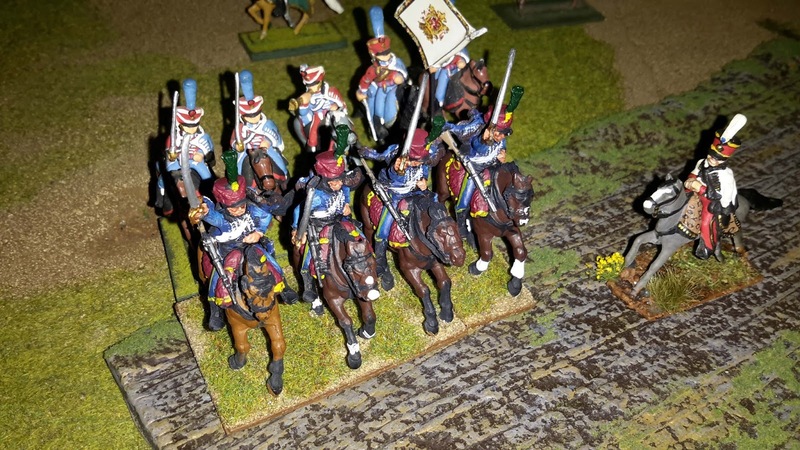 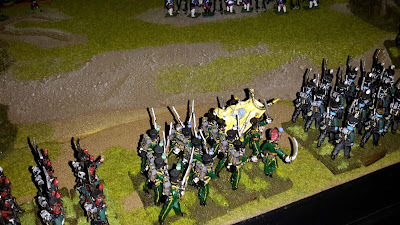 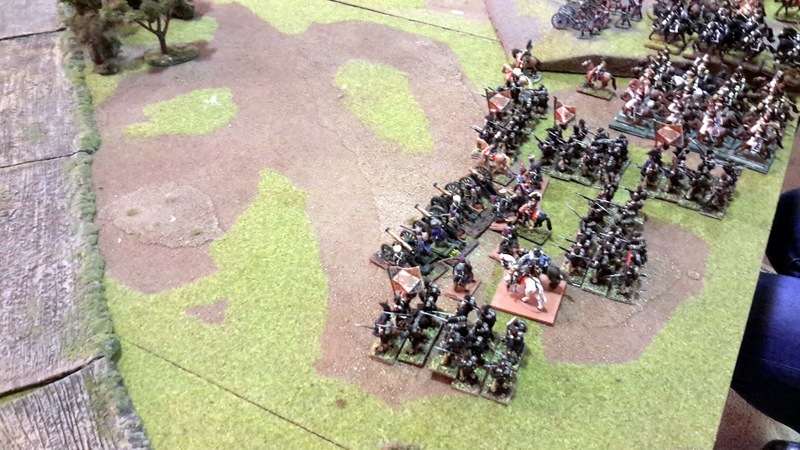 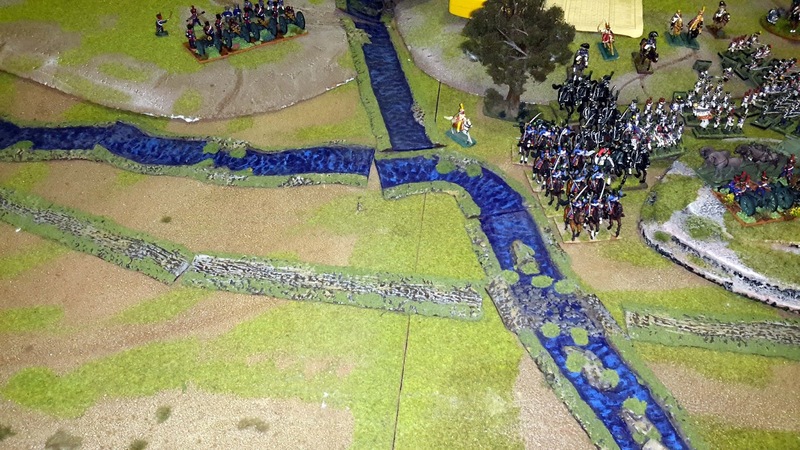 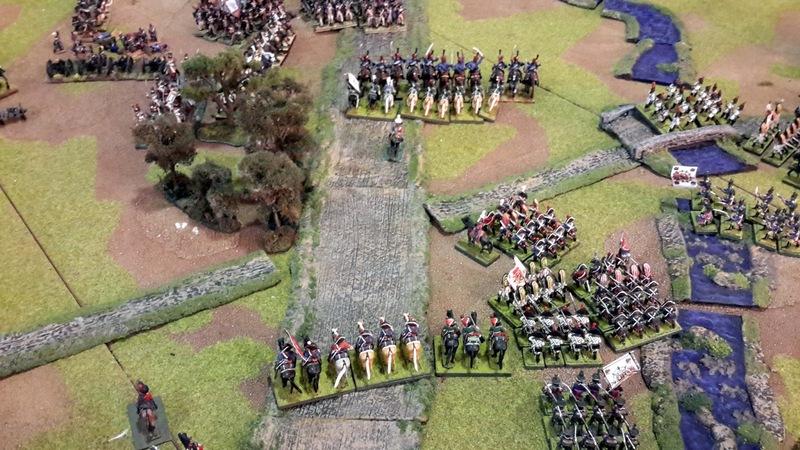 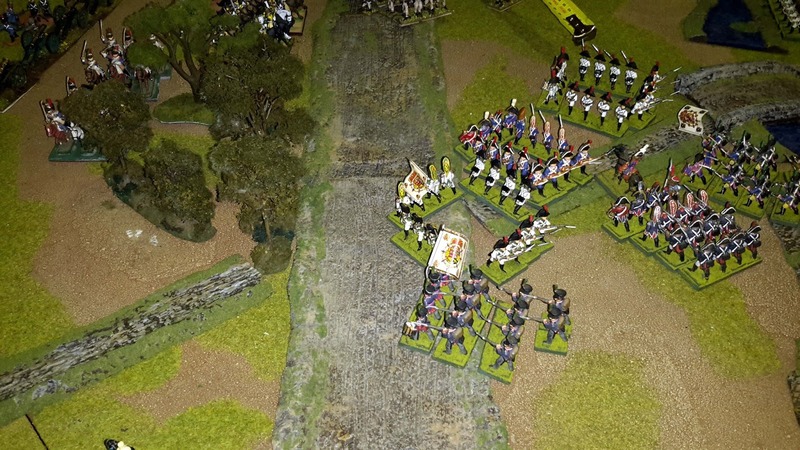 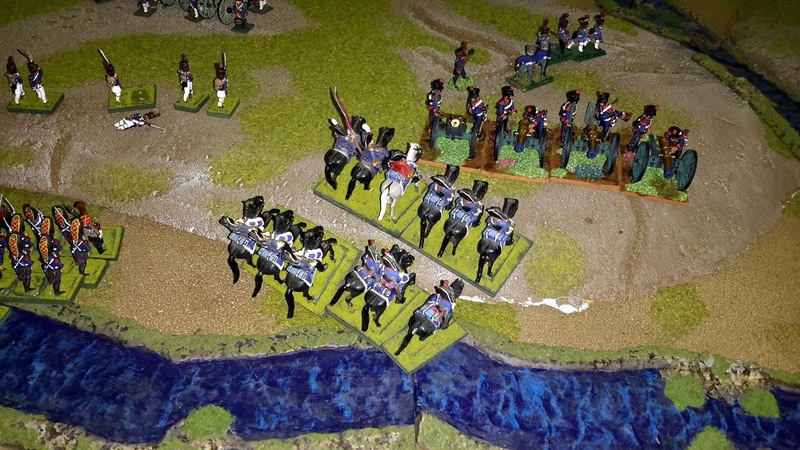 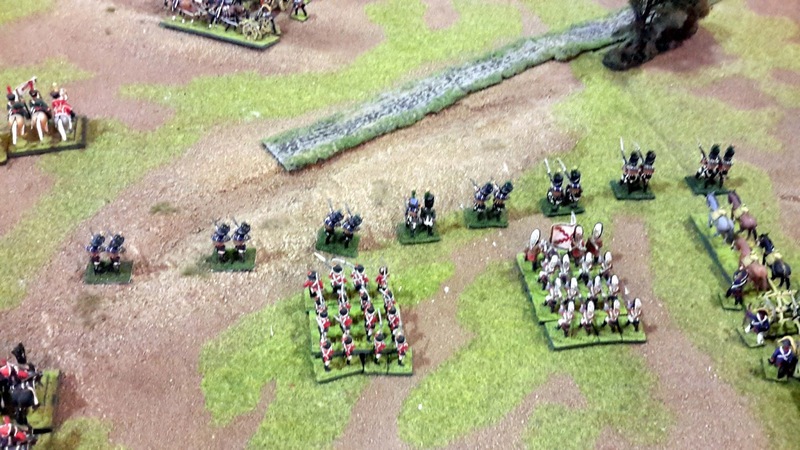 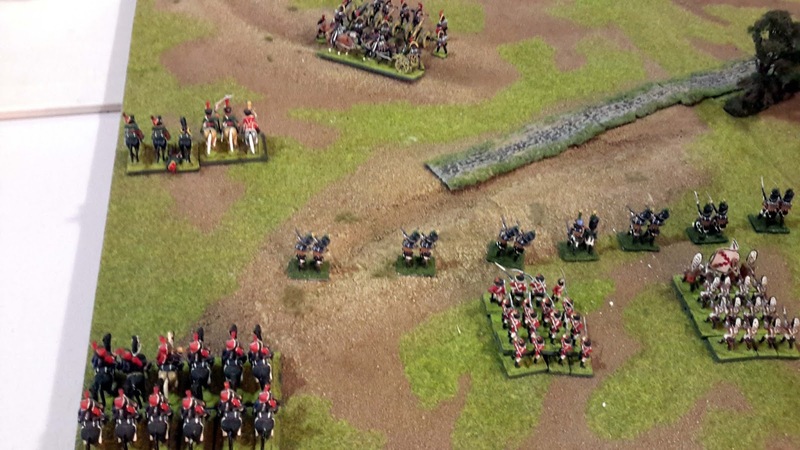 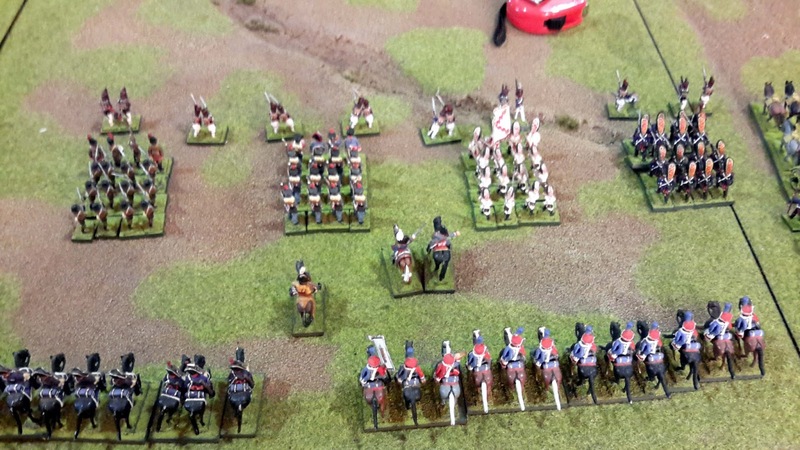 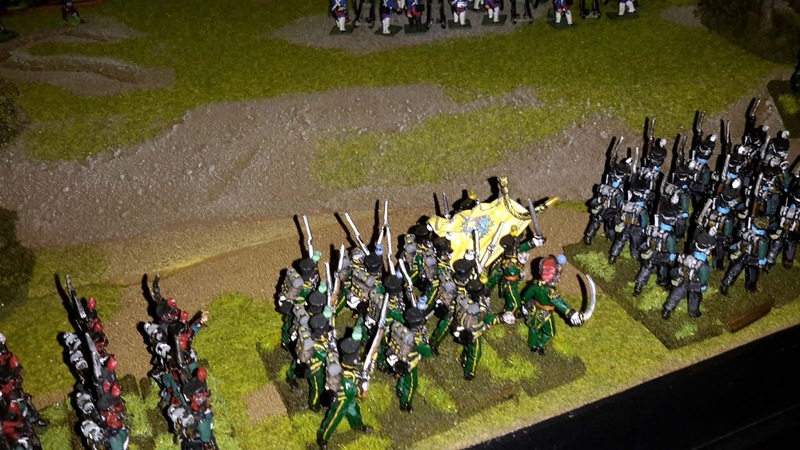 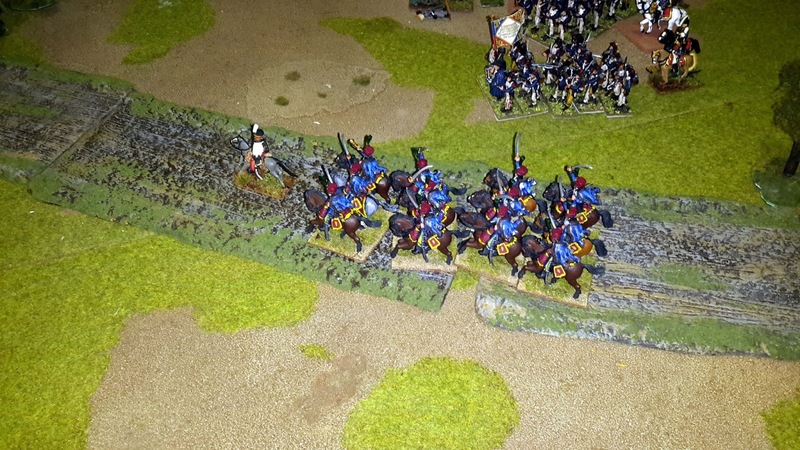 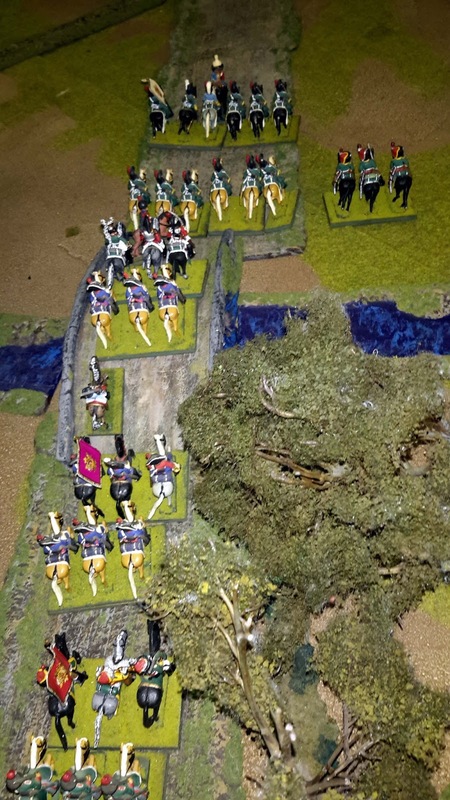 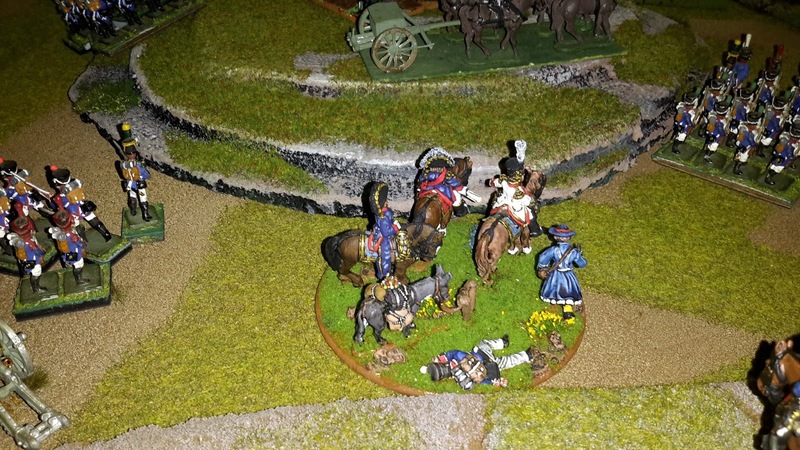 Historically the Spanish left and centre collapsed when the French attacked the Spanish once the Spanish were committed to their own attack against the thin French right flank and centre. 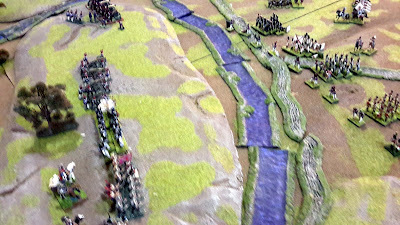 Following this Spanish collapse Suchet sent his small reserve and left flank into the attack thus completing the French victory. 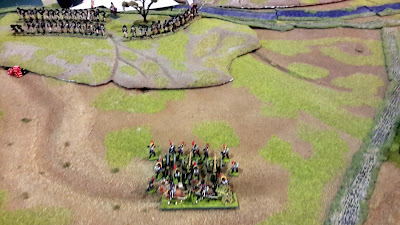 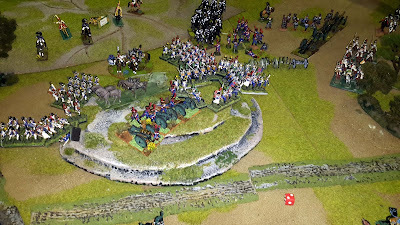 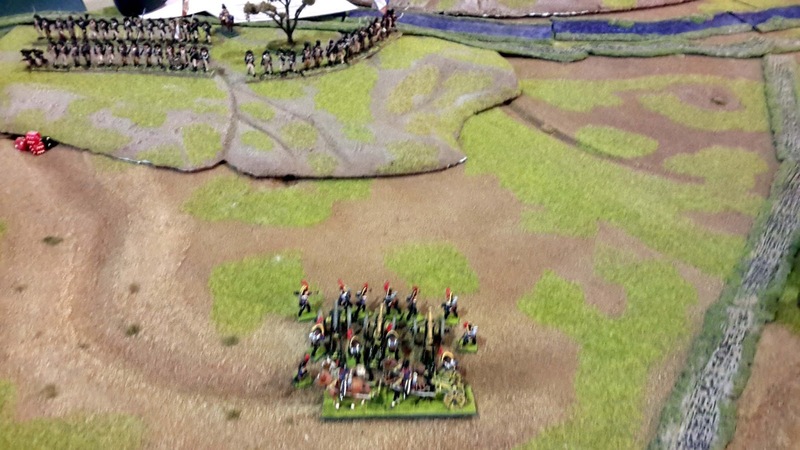 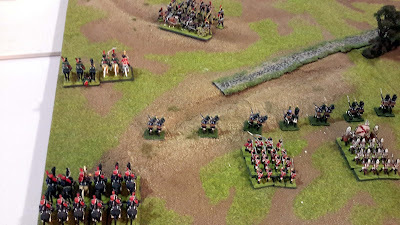 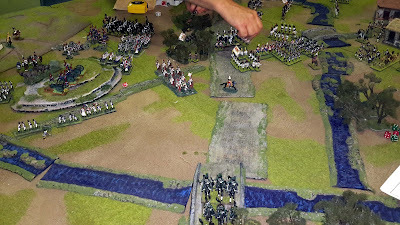 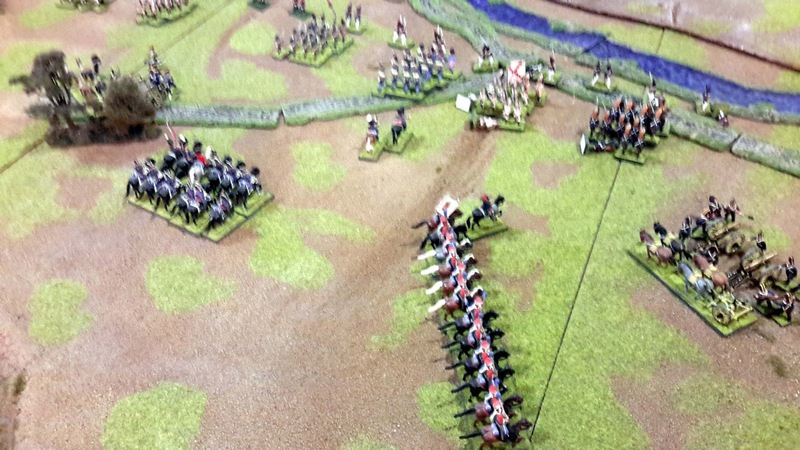 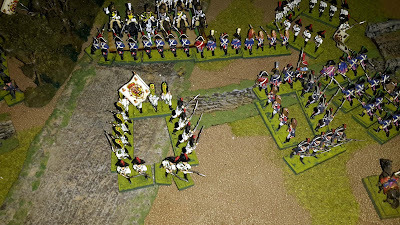 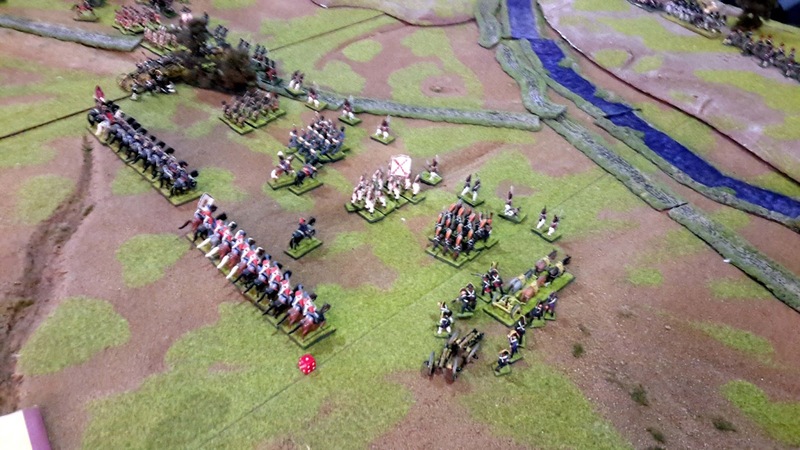 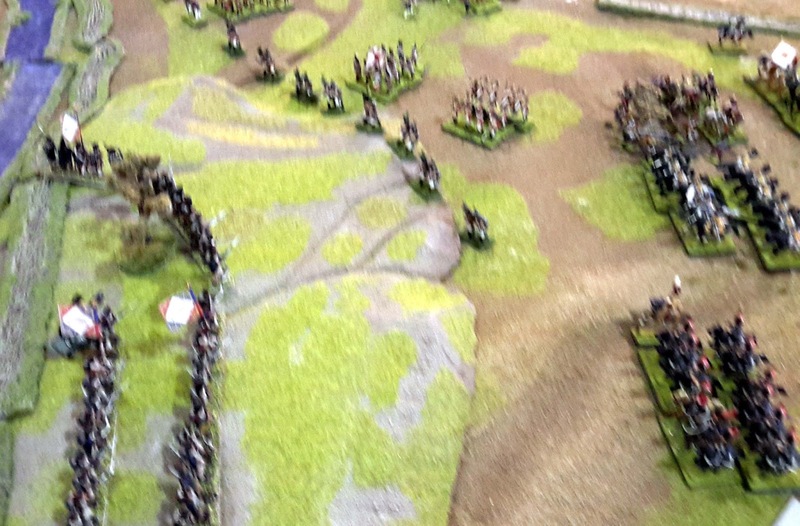 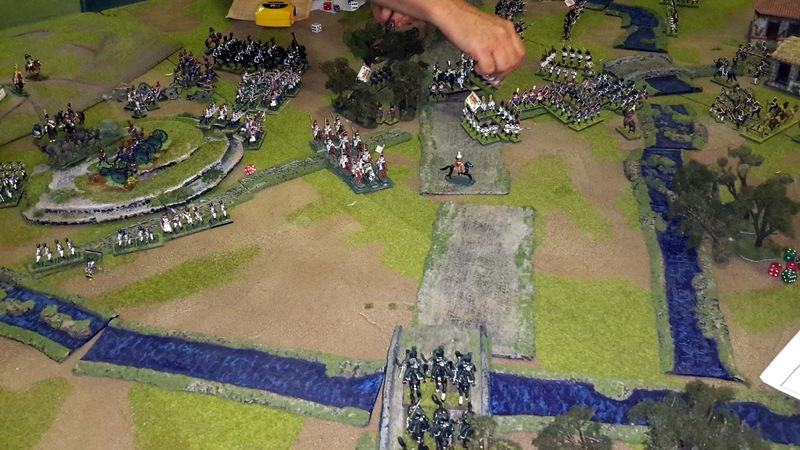 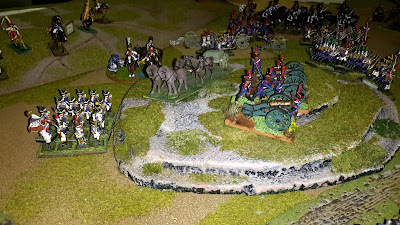 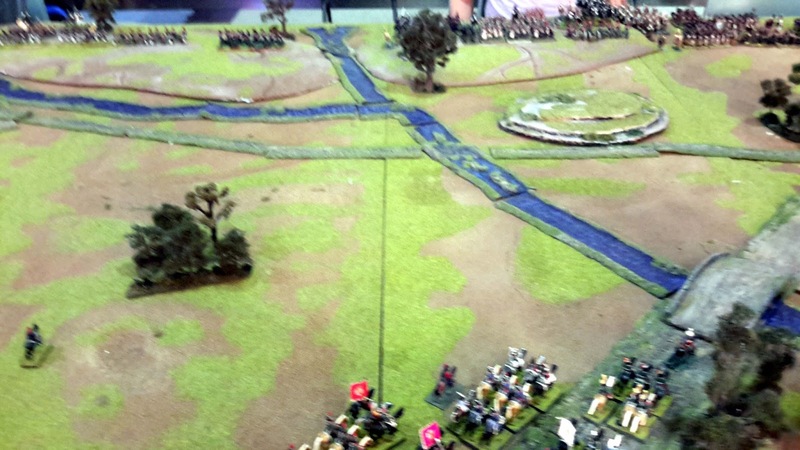 With this game it was a narrow victory for the French because the Spanish had not broken through the French centre or left. 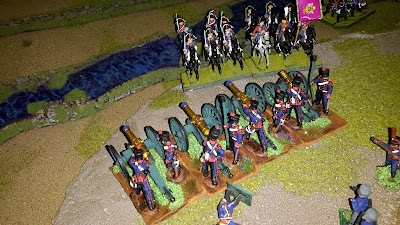 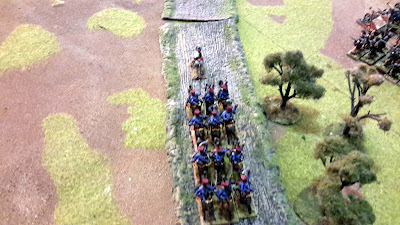 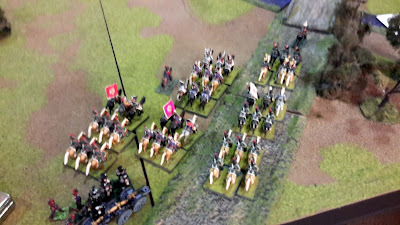 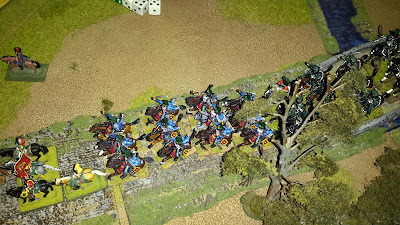 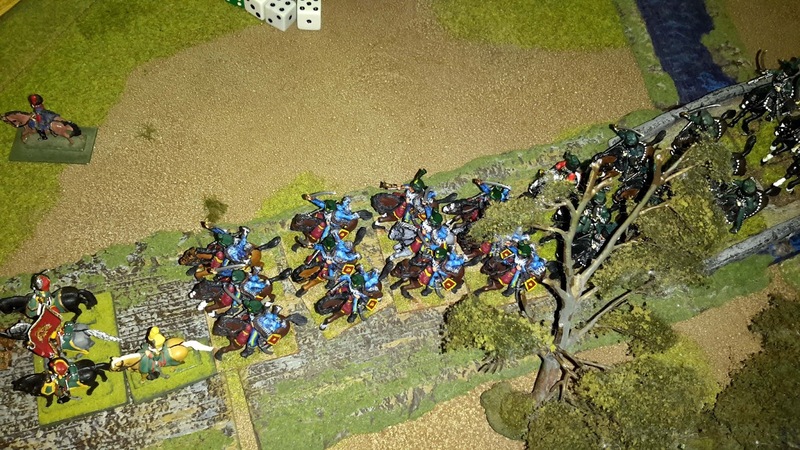 The French right was a great deal of trouble having pressure to the front and rear plus the losses of the heavy battery in the centre to Spanish Line Cavalry.